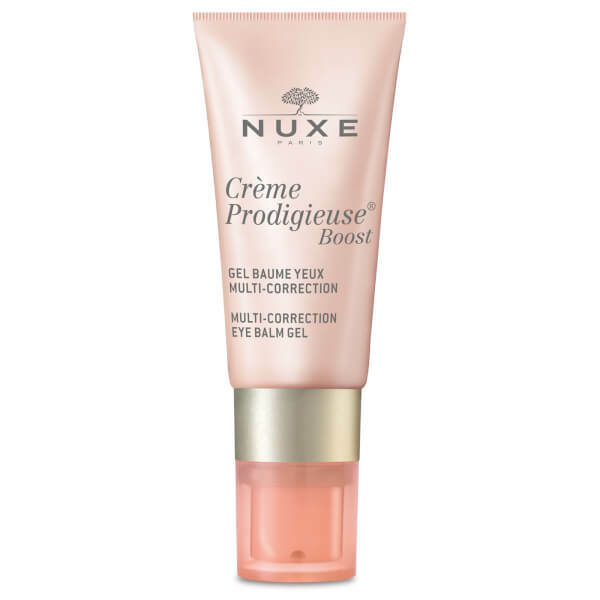 Reawaken your eyes with NUXE Creme Prodigieuse Boost-Multi-Correction Eye Balm Gel, an ultra-soothing formula for tired peepers. Infused with a Botanical Caffeine extract, the refreshing eye gel works to calm puffiness and balance dark circles to revitalise delicate skin. 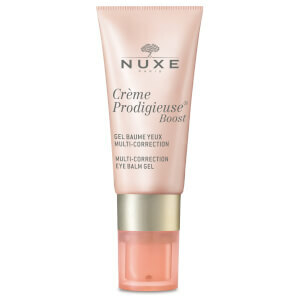 Hazelnut Oil strengthens and reinforces the skin barrier for visibly bright and healthy results. Usar por la mañana o por la noche. Aqua/Water, Alcohol Denat., Dimethicone, Glycerin, Sodium Acrylates Copolymer, Corylus Avellana (Hazel) Seed Oil, Octyldodecanol, Lecithin, Parfum/Fragrance, Phenoxyethanol, Dimethiconol, Tocopherol, Ethylhexylglycerin, Caffeine, Ribose, Sodium Gluconate, Dimethicone Crosspolymer, Acrylates/C10-30 Alkyl Acrylate Crosspolymer, Butylene Glycol, Sodium Hyaluronate, Pentylene Glycol, Jasminum Officinale (Jasmine) Flower Extract, Sodium Hydroxide, Mica, Ci 77491/Iron Oxides, Calendula Officinalis Flower Extract, Faex Extract/Yeast Extract [N3901/A].